Okay now that you have soaked in a little bit of the new Idea Book, let's look at the paper! You are going to love the new format of the Fundamental Paper Collections. Each one has it's own personality! I will introduce them one at a time to you! What beautiful paper this is. I just love the soft colors. Here are some of my creations with this paper. This paper has so many pretty pastel colors: thistle, crystal blue, sweet leaf, canary, pixie, and juniper. 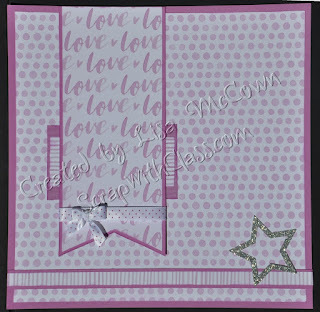 Also available is a Whimsy Ribbon Pack that comes with this cute polka dotted ribbon (and 4 others too). You will love the new compliment packs. They come with so many embellishments - 4 sticker sheets, silver or gold glitter die-cuts, and vellum die-cuts with foil accents. I can't believe how much is in these packs. You can create the best baby album with this pack. 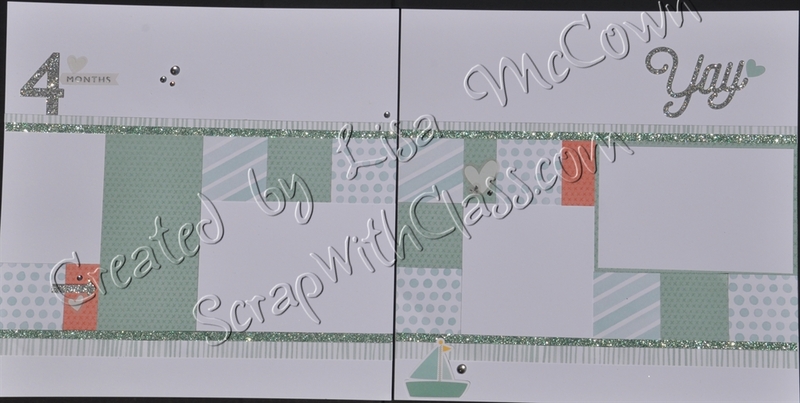 Just imagine a whole year of scrapbooking pages just waiting to be filled up with pictures. What a great gift for new parents. And here are some cards I made with scraps. Don't you just love this stamp set! Click here for my next post: ADVENTURE!